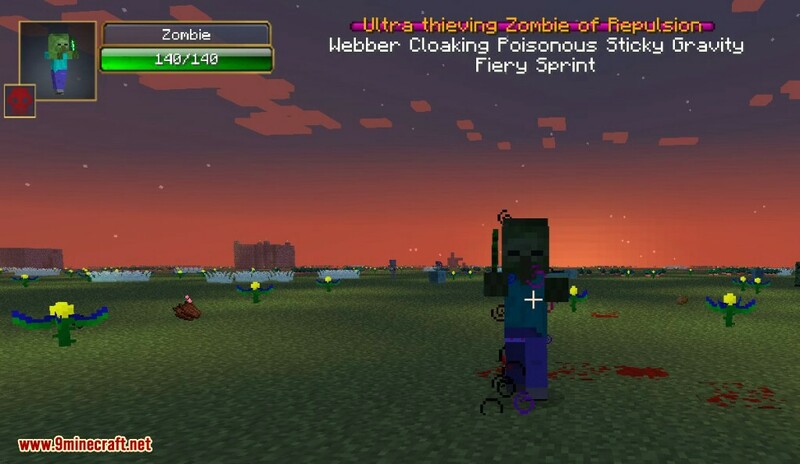 Infernal Mobs Mod 1.11.2/1.10.2 adds rare special mobs with special abilities and/or buffs; these mobs are often much more difficult to kill than your average monster. 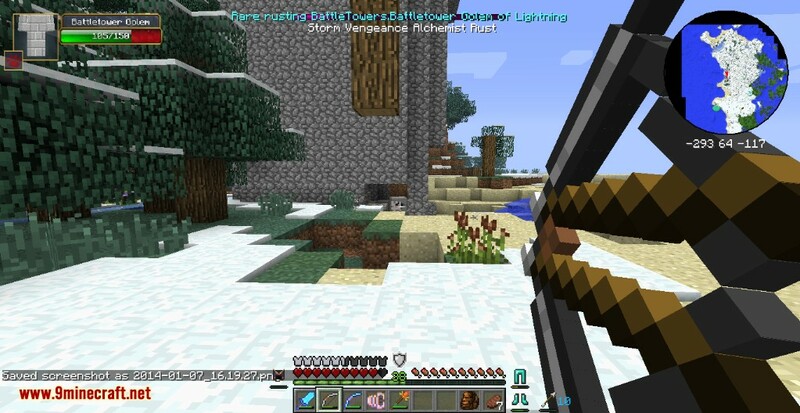 Some abilities can make fighting the affected mobs tedious or even dangerous when added together, such as Bulwark and Regen or Wither and Vengeance. Infernal mobs drop 4 times the experience and a random enchanted item (mod items included). Infernal – 10-11 effects, 10-11 times base HP. 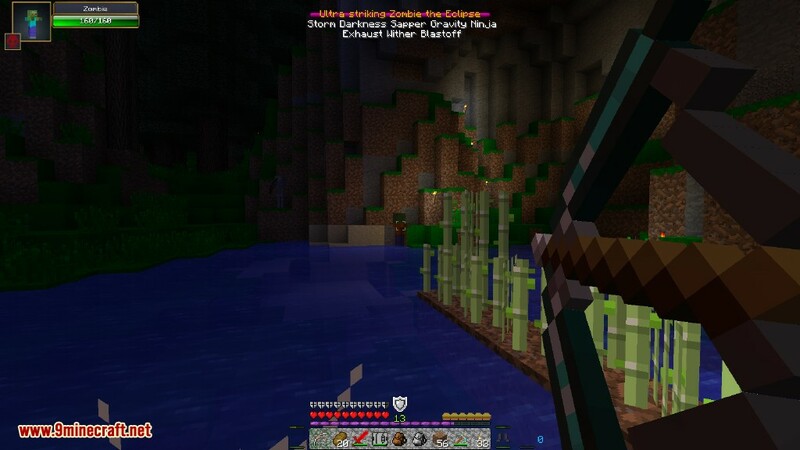 This mod makes Minecraft much more difficult while adding nice rewards. 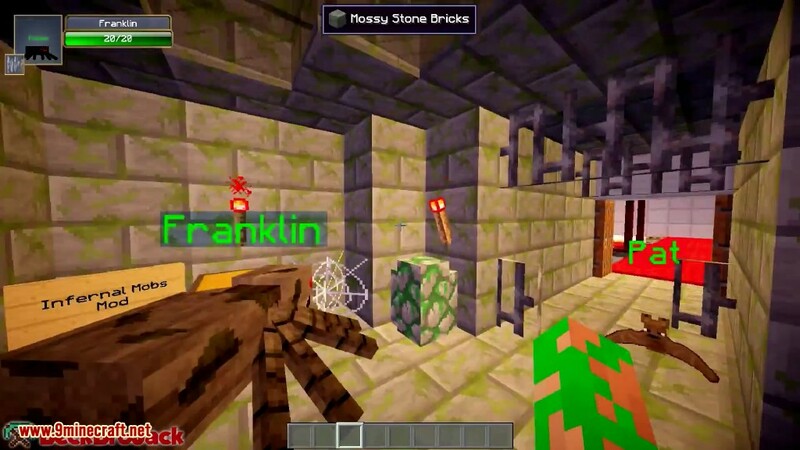 Mobs now have a rare chance of having special effects and increased hit points. It is very rewarding because they have a high chance of dropping diamond equipment. Undying – Has a chance to respawn with full health. Vengeance – Reflects a portion of all damage done. 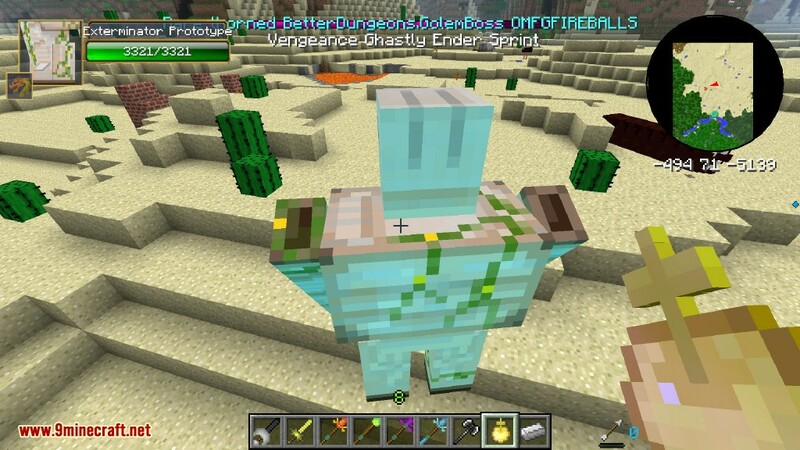 Reflected damage will apply other on-damage abilities like blastoff and wither. Bosses can become immensely powerful through the Infernal Mobs mod. Vanilla boss and most bosses added by Hexxit mods are liable to become supercharged. Bosses will gain and use abilities, although they will spawn at their base HP. However, these bosses will regenerate to their multiplied HP if they have 1UP, Regen, or any other kind of healing. Wither HP will hard cap at 300, but Pirate Bosses, Spider Bosses, Necromancers, etc. can become extremely durable. Find and open your .technic folder (in roaming), open the hexxit folder, open the config folder, open the InfernalMobs cfg file with notepad and from there it is self-explanatory. Replacing the original numbers into higher numbers would up the spawn rates of those with effects. Note: The loot dropped may be enchantable, and if the loot dropped is enchanted, it usually is enchanted with high level enchantments (i.e. Sharpness III). You can add/remove what is dropped by Infernal mobs by doing the same processes as making a mob infernal but instead change the item ID’s to the items wanted. 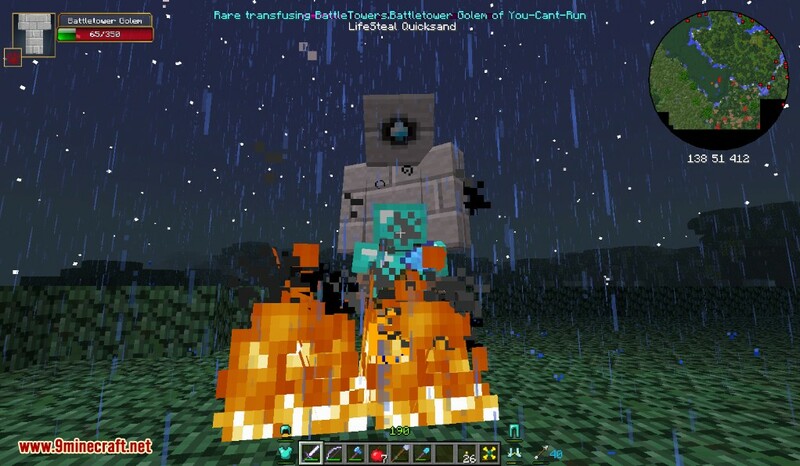 Soul Shard spawners and vanilla spawners can spawn Infernal mobs. 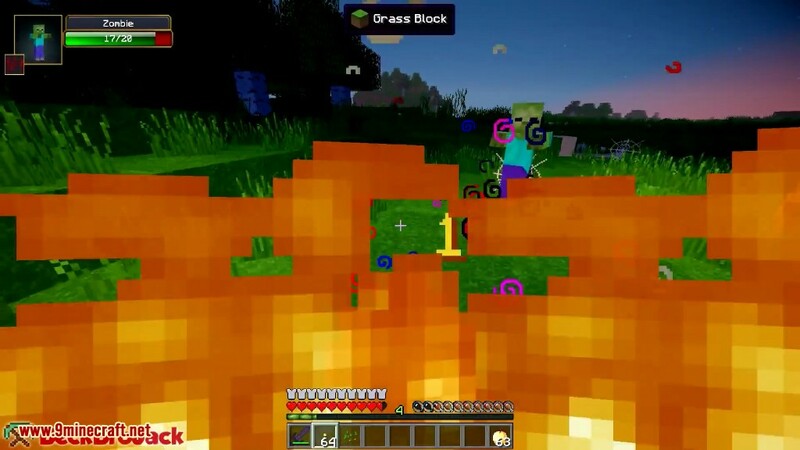 Any mob has the possibility of spawning as an infernal mob, including bosses and even small slimes spawned from larger ones. If an infernal mob is healed (potion of instant health etc. 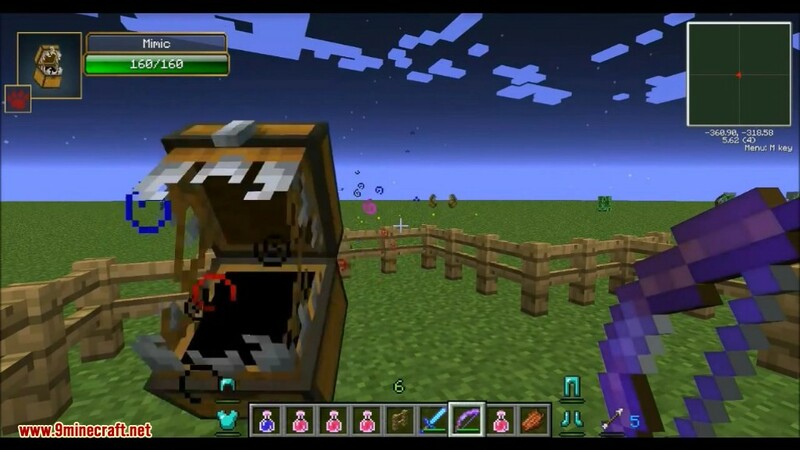 ), its HP will become the mob’s original max HP. This happens because infernal mobs have bonus HP rather than increased max HP, so if the mob is healed in any way it will ‘update’ and return to the max HP. 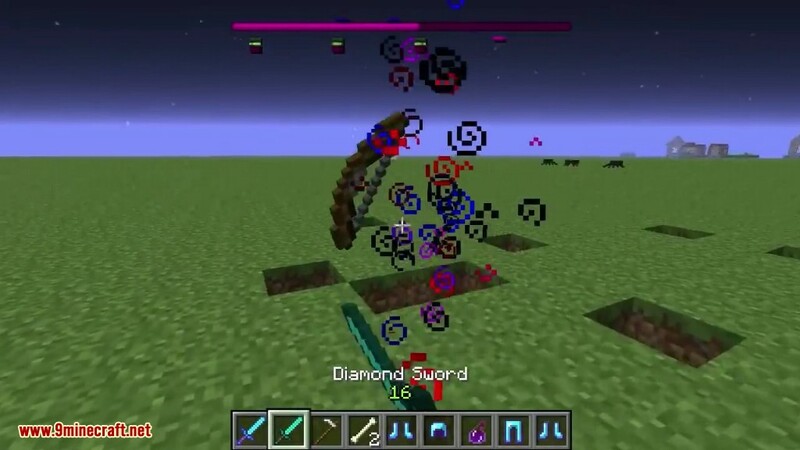 Any mob’s ability from this mod is disabled in the Rift Dimension. Infernal mobs can spawn from spawn eggs. 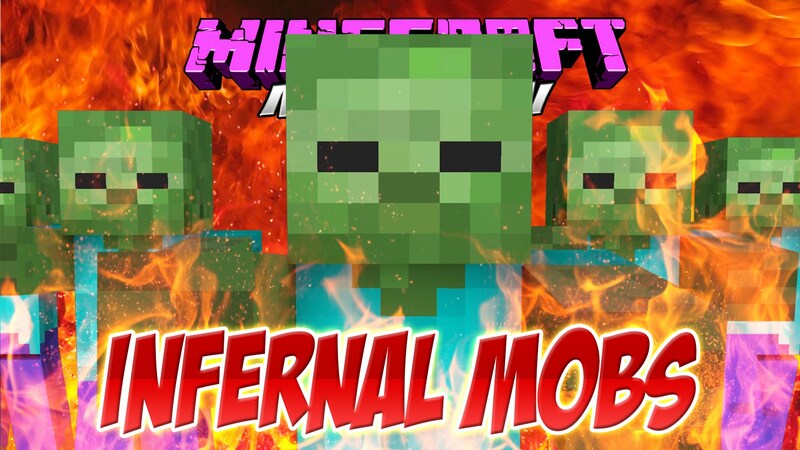 Encountering infernal mobs early in a playthrough can be dangerous, as their increased life and special traits can make them exceedingly difficult to defeat, depending on the mob. However, such a feat can be very rewarding, as the valuable items gained can give the player an edge early in the game. 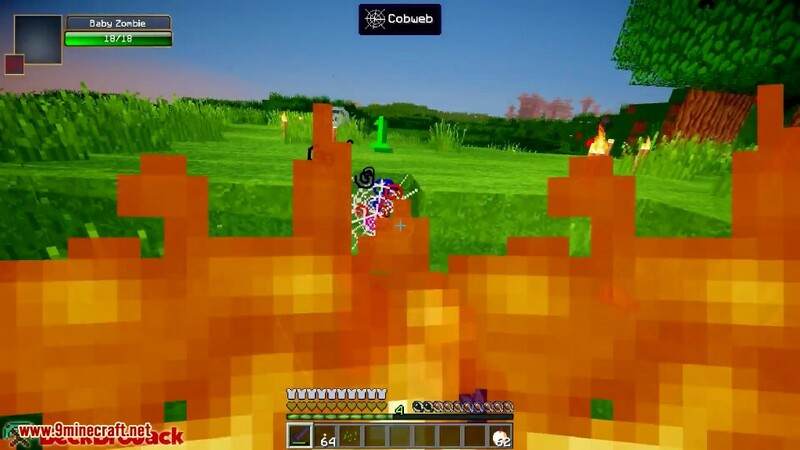 Infernal mobs with the ‘Alchemist’ modifier often throw splash potions of water breathing at the player. While dangerous, this can also be very useful in flooded areas or areas with large bodies of water. Sometimes, as the infernal mobs “spawn”, the spawner from the battle towers can make a lot of them, and the fact that they relate between levels, this could make a battle tower almost impossible. If killed by an environmental feature such as Fall Damage, they won’t drop any rare drop. Baby slimes are an extremely good mob to have Infernal effects, as they will be still easy to kill, given that one punch will kill them normally. An Ultra Nitro Creeper in the Nether. An Exterminator Prototype affected by Infernal Mobs.